It’s not just about snow and ice. We could break the science of winter tires into two categories: mechanical grip and molecular adhesion. Mechanical grip refers to the physical mating of the tread to the road surface. The malleability of the rubber compound allows it to “interlock” with the undulations of the road surface (the rough rock/sand/tar or concrete surface). Once again, temperature affects the malleability of the rubber compound, so pliable rubber compounds allow better traction. The tread pattern’s ability to evacuate slush or water is also essential to mating the tread to the road surface. Adding another facet to the tread pattern, winter tires contain thousands of tire “sipes” that act as separate biting edges in the snow. These sipes also add flexibility to the tread surface, which in turn, adds more grip on ice and snow. One interesting technology in particular has negated any need for studded tires (winter tires with small metal spikes screwed into the surface); this technology gains traction at a microscopic level using millions of “bite particles” to spike into the ice or snow. Slipin and Slide’in or Drifting and Gliding? The choice is up to you. While there are a multitude of excellent winter tires from various brands including Hakkapeliitta and Pirelli, I will focus in on the tires I have personally found to offer the best performance. -How do you compliment the tire that saved your life? Superlative deep snow and ice traction at the sacrifice of dry road handling. This tire has marked “tire squirm” but compensates with phenomenal traction when the winter gets rough. Tread wear is average, lasting 3 seasons of spirited driving (conservative driving on dry roads for the most part, so as to preserve them). -Your ‘Best Value’ high quality winter tire. While it may ring in the least expensive of this group, do not dismiss its performance abilities. Worn as the tire choice in Ontario’s winter rally racing, this tire needs no introduction. Excellent snow and good ice traction round out this race-winning tire. Dry handling is compromised, but not as much as many others including the Toyo Observe G-02 Plus. Tire life is slightly better than average in its class. Bridgestone Blizzak WS60 Tire priced from $68. -Often acclaimed as the world’s best winter tire, the Blizzak sets the bar high. Now in its third generation, it has been recently redesigned for ever-better drive characteristics and traction; the Blizzak doesn’t disappoint. Probably one of the best all-round winter tires with excellent snow and ice traction, a relatively quiet ride, and better than average dry road handling in its class. You will not regret this purchase. Tire life is better than average, easily lasting 3 years of spirited winter driving (with more conservative driving on dry roads so as to preserve the tread). Michelin Pilot Alpin PA3 Tire priced from $119. -Enjoyed best on the M3, this tire makes you forget you switched to your winters. Excellent dry road handling and traction with no noticeable tire squirm. When things get slippery, the Michelin keeps up, though snow and ice traction is compromised in exchange for its dry road performance. Tire life is excellent, one of the best in class. Bridgestone Blizzak LM-25 Tire priced from $105. -This performance winter tire will have you questioning the relevance of many other winter tires. Currently on my BMW, these tires have displayed superior dry road handling while not trading off too much compact or deep snow traction. Traction on ice is noticeably less than its purist snow tire-brother, the WS60. However the LM-25 rewards you with dry road handling approaching the levels of a summer performance tire. 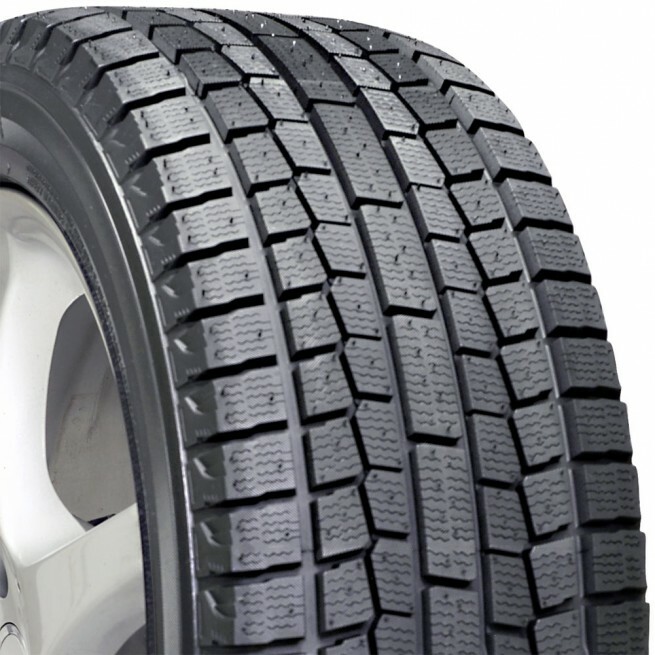 Best of all, its unique rubber compound with “Long Link Carbon” renders it one of the longest lasting winter tires available in its class. Traction through slush is phenomenal, one of the best slush tires I’ve ever driven. With spirited dry-road driving, the LM-25 will last at least two seasons if not three. While it is slow to wear, the tire is designed to offer optimal snow traction for only the first part of its life, dropping off noticeably once you’ve worn past its tire sipes. No “multi-cell” tubule technology or “bite particle” technology will have some questioning the purchase of this tire. But for those unwilling to compromise on dry-road handling, this may be the tire for you. -A great performance winter tire that trades the Observe G-02’s tire squirm for sporty handling on dry roads. Of course, some traction on snow and ice is sacrificed, but considering the high level of tire squirm on the G-02s, this may be the better compromise for a mix of dry and snow covered road conditions. Tire wear is good, but falls behind others in-class such as the Michelin or Bridgestone mentioned above. The Garit KX contains Toyo’s walnut shell “bite particle” technology like its sibling, the Observe G-02 Plus.